Optional Connecting Script Dial is a non-stock item. Special order only. Please allow extra time for delivery. 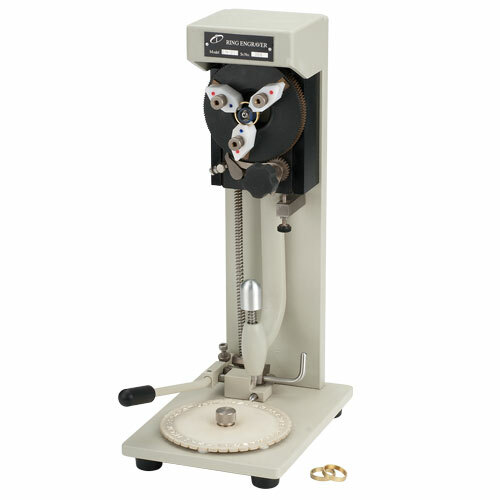 Our easy-to-use Inside Ring Engraver allows you to personalize your customer’s purchase on the spot. Offers bright, legible markings to make every ring a memorable possession. Includes one reversible block type dial and complete instructions. Optional Connecting Block and Script dials are sold separately increasing the machine's versatility and allowing you to close the sale for many different customers. Made in India. Includes 1 reversible Block Type dial. Automatic X and Y centering. Replacement diamond engraving tip available.